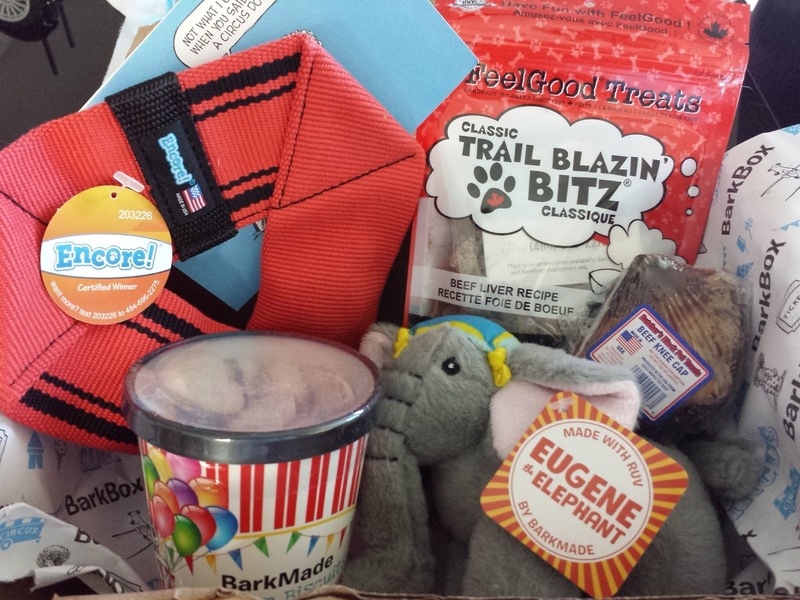 Pint-sized and Simple: BarkBox: It's a Circus! - July 2015 + Get A Free Box! 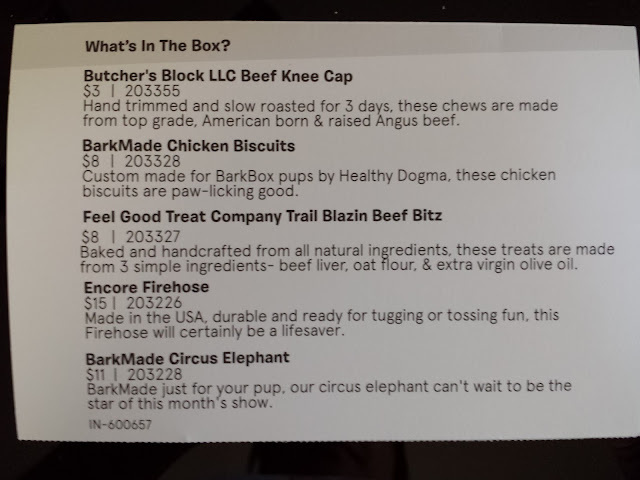 BarkBox: It's a Circus! 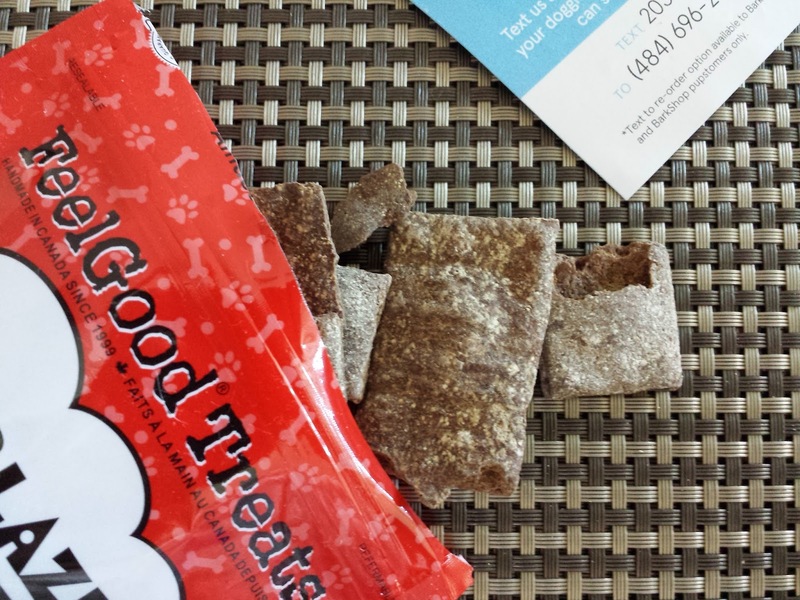 - July 2015 + Get A Free Box! 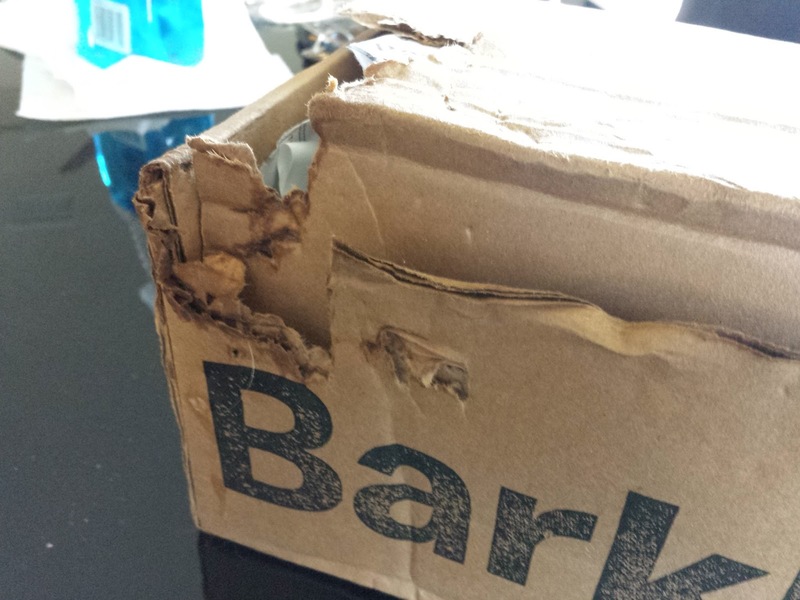 What: BarkBox is a subscription box for dogs filled with 4-6 treat, toy, and hygiene items. Boxes are curated according to your dog's size. This review is for a medium-dog box. Fun Fact: 10% of proceeds from each BarkBox goes to rescue groups! Well I tried at least. 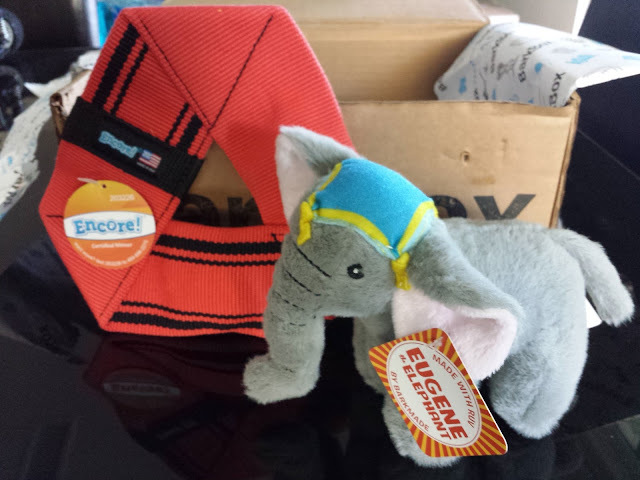 I hope your dog is a fan of the big top because July's box is all about the CIRCUS. Sometimes I think my dogs belong in one. Not because of some awe-inspiring talent but mostly because of their looks. I mean, have you ever seen a more disproportionate breed than a corgi? Huge ears, tiny legs, long body, crazy long tongue. What a riot. Unfortunately, we don't have circus acts coming around here much, so this month we're relying on BarkBox to bring it on over. 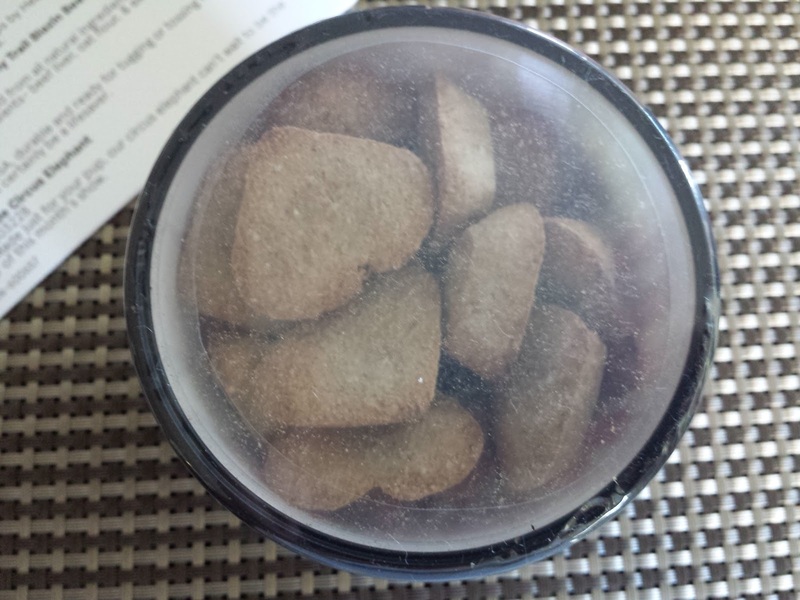 BarkMade Chicken Biscuits (5oz value: $8) - Isn't this container so cute?! These heart-shaped biscuits are actually made by Healthy Dogma and are completely organic. They only contain 5 ingredients (or 6? I can't remember...it's in the kitchen and I'm currently buried under a pile of papers at the moment). Technically I could eat one, and I usually would for review purposes, but I haven't gotten around to it yet. But the dogs approve and Pebbles goes gaga over it. But in all fairness she goes gaga over any treat. That includes geckos. 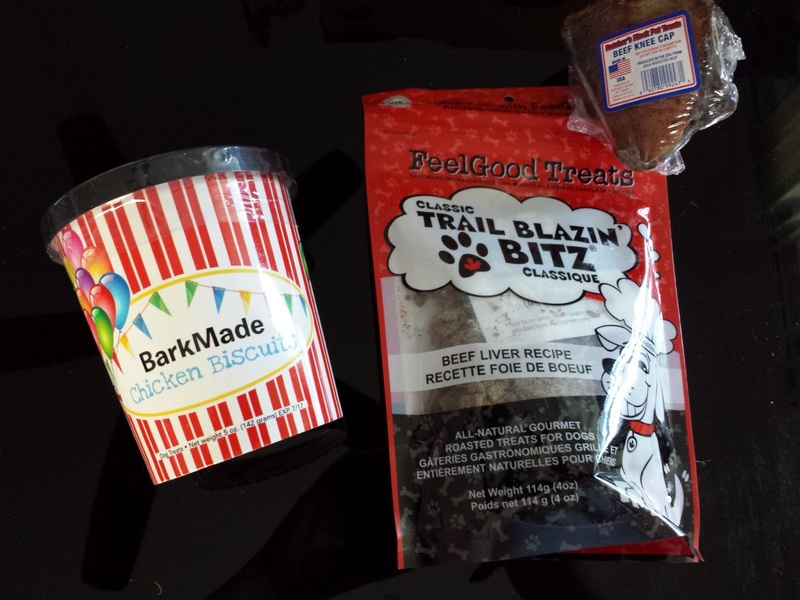 Feel Good Treat Company Trail Blazin' Beef Bitz (4oz value: $8) - These totally caught me by surprise. I was expecting a meaty jerky treat. Or maybe something freeze-dried. But these are little baked square puffs. Like Cheez-Its without the cheez. And there's only four ingredients in here - beef liver, oat flour, olive oil, and oregano. I shall sample this along with the chicken biscuits when I get the chance, though it definitely doesn't sound yummy to me. However, the dogs disagree. Good dogs. Eat up. Handmade in Canada. Butcher's Block Beef Knee Cap (Value: $3) - I don't even have to wonder whether the dogs will like this. They'll love it, no question. I gotta admit, it does smell pretty tasty through the wrapping. Macho used to go apesh*t for these saucy bones, but lately he's been more into pizzles and things he can actually consume. But Pebbles will continue gnawing long after the meat is gone. Then the next time I'll just give her the naked bone and she goes at it again. Of course, that one has to be under constant supervision because she'll splinter and eat the whole friggin' thing if she could figure out how, but I love that she's so easily amused. Encore! Fire Hose (Value: $15) - Yay, my request for tough toys has been fulfilled! Each month when BarkBox sends out their survey I mention that the toys are incredibly cute albeit unsuitable for my dastardly pups. Pebbles will decapitate a plush toy in less than 5 minutes and Macho has this weird tendency to turn all the heads inside out once Pebbles finishes unstuffing them. This is the first durable toy we've gotten since the rope toy in September's cheerleader box (they still play tug of war with that rope every single day). I love canvas and rope type toys because it takes a little longer for Pebbles to destroy it. She does, eventually, and I'm left picking up fibers all day, but it's worth it for the time being. The only reason that cheerleader rope is still here is because Pebbles doesn't get alone time with it; once they're done playing tug of war it's on to fetch and then dinnertime. It looks like this fire hose has double stitching; I hope it holds up to my tiny terror. BarkMade Eugene the Circus Elephant (Value: $11) - This is a pretty pricey elephant, especially since it won't last 10 minutes in my house. Unless I put it up on a shelf with all the other cute-but-fragile BarkBox plushies we've gotten. It squeaks and has crinkly ears - that means both dogs will automatically love it. But what I love most about this toy is the warning: "Supervised play only- don't leave a pup alone with an elephant." Because size difference. Okay, so this box wasn't as theme-oriented as others have been, but it was still cute. 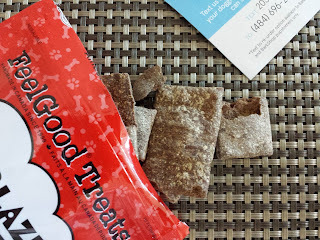 The treats are almost gone (and it's only been 6 days!) and I'm planning on bringing out the fire hose later on today. Sadly (or happily? ), the elephant won't be able to meet Pebble's jaws. Don't leave a pup alone with an elephant. Because pup will destroy elephant, apparently. I wonder what next month's theme will be...back to school maybe? My dogs can definitely use some schooling. I would love to teach Pebbles some manners. She would totally fail the CGC test with flying colors right now. See anything you like? All these and more can be purchased from the Barkshop. And if you like what you see there, come join the fun and spoil love your BFFF by getting a BarkBox for as low as $18/month -- plus get a free box tacked on to your subscription just for using my link! Much thanks if you use it!